Sears is a famous chain of departmental stores that offer a diverse range of tires from all the major tire manufacturers for cars, SUVs and pickup trucks along with a wide range of other products. Budget-friendly and reliable, Sears has been serving its customers for many decades now and is a reliable place to look for tires and auto care services. Besides, the Sears tire coupons are a great way to save money on your next purchase of tires or services offered by Sears. Let’s take a look at some of the services and products on which you can avail Sears tires coupon. Sears Auto regularly releases coupons and promo codes that you can use to avail discounts on their products and services. Some of these, as you will see below, are even on offer right now! By getting your vehicle’s tires balanced on a regular basis, you can extend its lifespan and enjoy a comfortable ride throughout. It also eliminates uneven treadwear. You can opt for Lifetime Tire Balancing services at Sears. Sears Auto experts inspect the tire to see if it can be repaired. The flat tires that these experts repair last as long as the tire lasts. Tire balancing is a complimentary service. This is an electronic system to inspect if the tire pressure is low and unsafe. 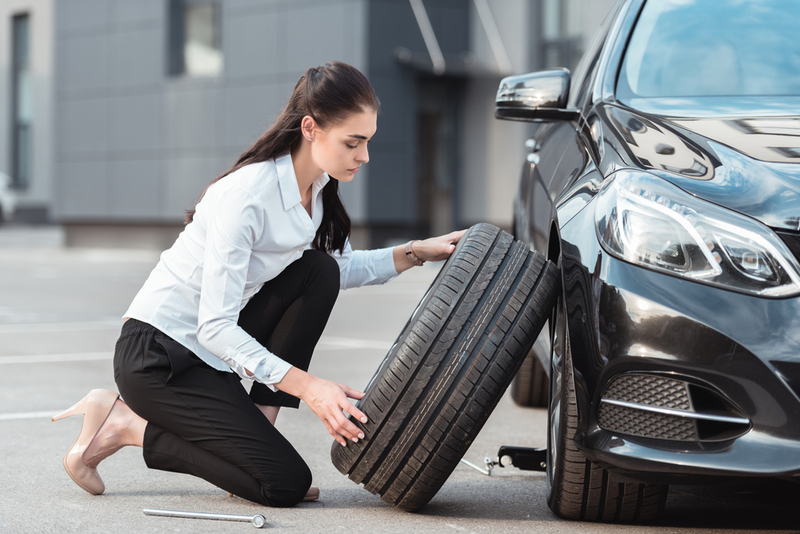 If the tire pressure monitoring system of your vehicle is not working, the experts here will find the cause and repair the system so that it works properly. Sears offers Sears tires coupon on these services from time to time. Keep checking their website and local newspapers for such coupons. Winter tires are ideal for people who drive their vehicles on roads covered with ice, snow, and sleet. Winter or snow tires offer better traction control ensuring improved stopping and starting performance. They also offer better grip. All-season tires, as the name suggests, are suitable for the dry summers, wet springs, as well as dry winters. Such tires have long tread life and offer year-round grip. You can get 25% off on RoadHandler or DieHard tires when you buy a set of 4. This offer is valid online only and installation of the tires is required for this offer to be valid. It expires on 4th August 2018. You can find similar offers on tires of other brands as well as Goodyear, Michelin, BFGoodrich, and Uniroyal. Many of these Sears tires coupons are refreshed every month and are only valid for a limited period, so keep visiting the promo section of the site and watch out for the offer expiry date! Avail a discount of $20 when you opt for 1-year alignment services. Offer expires on 4th August 2018. Customers opting for 6-month alignment services will get a discount of $10. The expiration date is 4th August 2018. Free alignment checks till 31st December 2018. Redeem these Sears tires coupons and make great savings.